The Danish Christian existentialist SÃ¸ren Kierkegaard (1813-1855) and the Jewish Lithuanian-born French interpreter of modern phenomenology Emmanuel Levinas (1906-1995) have enabled theology and philosophy to illuminate and confront one another in radical and important ways. This book addresses the theological and philosophical thought of both Kierkegaard and Levinas with a focus on the special form that exists in the grammar of many languages for cases of uncertainty, possibility, hypothesis and for expressions of hope: the subjunctive mood. 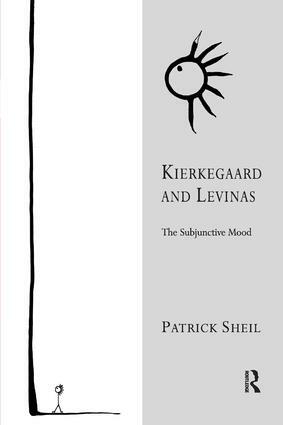 As well as presenting arguments and observations about Kierkegaard and Levinas through an analysis of the subjunctive mood, Patrick Sheil offers an interesting and accessible way into the thought of these two major European philosophers and he explores a wide range of Kierkegaardian and Levinasian texts throughout. Contents: Preface; Identity and the subjunctive; Representing the seducer; Interrupting philosophy: the complaint about knowledge; Transcendence and negativity; The moodiness of the subjunctive; The accusation of ethics; Working through love: the subjunctive hopes all things; Freedom; Suffering, faith and forgiveness; Concluding with the unscientific; Bibliography; Index. Patrick Sheil read English and Modern Languages at King's College Cambridge, where he then completed an M.Phil. degree, as well as the doctorate on which this book is based. He is now a news writer and web developer for Cambridgeshire County Council.